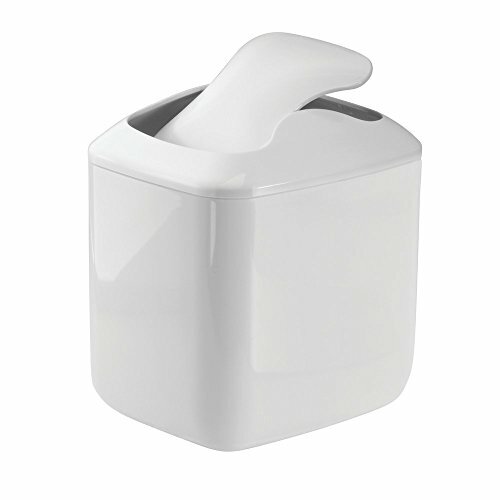 The mDesign Vanity Wastebasket Trash Can is great for small or large bathroom countertops. With a variety of colors available, it features a swing lid to discard trash easily. It has a 2.7-liter capacity.